Excellently located only 3 km from both Santa Genoveva Airport and Passeio das Aguas Shopping Mall, Euro Plaza Hotel offers modest, yet modern accommodation with breakfast buffet, Wi-Fi and on-site parking included free of charge. Hostel Pousada Jaó is located 4,5 km from downtown Goiânia and offers free Wi-Fi access. At Pousada Jaó guests will find free airport shuttle service, a 24-hour front desk and a shared kitchen. Just 200 metres from Goiânia bus station, this hotel is located 1 km from the city centre. 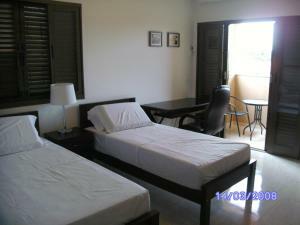 It offers air-conditioned rooms with free Wi-Fi and free parking. Breakfast and a 24-hour reception are available. 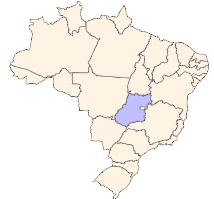 Mangabeiras is located in front of Goiania Bus Station and a 10-minute drive from its centre. It offers air-conditioned rooms, free parking and breakfast. Front desk operates 24 hours a day. Just 300 metres from Goiânia centre and 200 metres from Araguaia Shopping Centre, Terra Cedro features a TV-room and free Wi-Fi. Buffet breakfast is served daily. Santa Genoveva Airport is 5 km away.